February 14, 2017 February 14, 2017 / C.S.G. The Associated Press also spoke with a source who said the ban had been lifted. Last Friday, Knicks owner James Dolan and his binder appeared on Michael Kay’s radio show in an attempt to persuade the public that he, not Oakley, was the sympathetic character in this dispute. 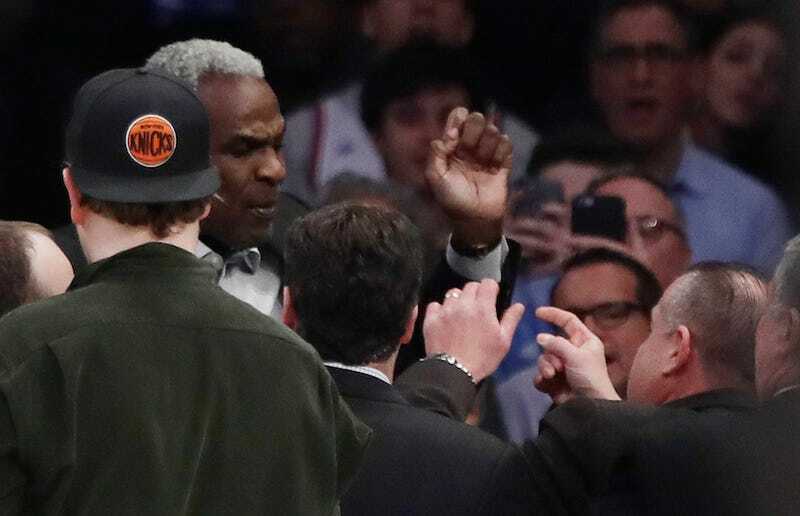 His lobbying wasn’t very effective: the Knicks owner spent a good portion of his time insinuating that Oakley needed “help” for some unspoken issue, and said that the former player would receive a lifetime ban from MSG. When asked if the ban had been lifted, an MSG spokesperson supplied a copy of NBA commissioner Adam Silver’s statement from yesterday.